About About | Sergiu’s Homepage - Hi! I’m Sergiu Calborean. I love crafting cool things for the web. Hi there! 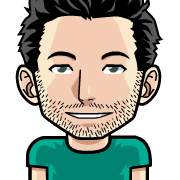 I’m Sergiu Calborean, a 20-something freelance web developer from Europe. I enjoy blending creative front-end design with fast, reliable back-end solutions. Since I was 10, I’ve experimented with programming, teaching myself until I went to college and took a job in this field. I’ve worked for two years as a front-end web developer for a company called PitechPlus, where I’ve met many great people and learned a ton of useful stuff. In regards to my work, I always strive to do my best and I hold very high standards for myself. I always deliver on time and on budget and I’ve worked with clients ranging from small startups to big corporate firms. My current dev stack includes but is not limited to: Sketch, Webpack, React + Redux, Sass/Less, MeteorJS, MongoDB, AWS and a bunch of other stuff I find useful and cool. I’m also currently working with my girlfriend on a way to get rid of the spam problem by building a web application and browser extension that automagically generates a unique email adress for a certain use, for example subscribing to a newsletter. You can check it out here: Ninja. I also occasionally take pictures. © 2016-2018 Sergiu Calborean. All rights reserved.